Maybe you are new to the whole website/blogging game or perhaps you just aren’t seeing the results you were hoping for, either way your online presence is something the should be continually evolving and improving. 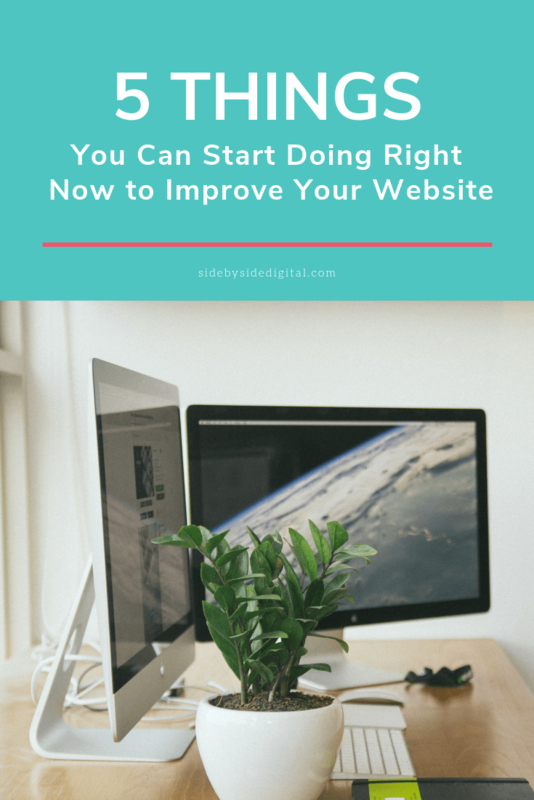 That being said, there are something that you could start doing today to improve your website. Let’s dive right in! There are a few things to consider when it comes to your website’s call-to-actions (CTA). 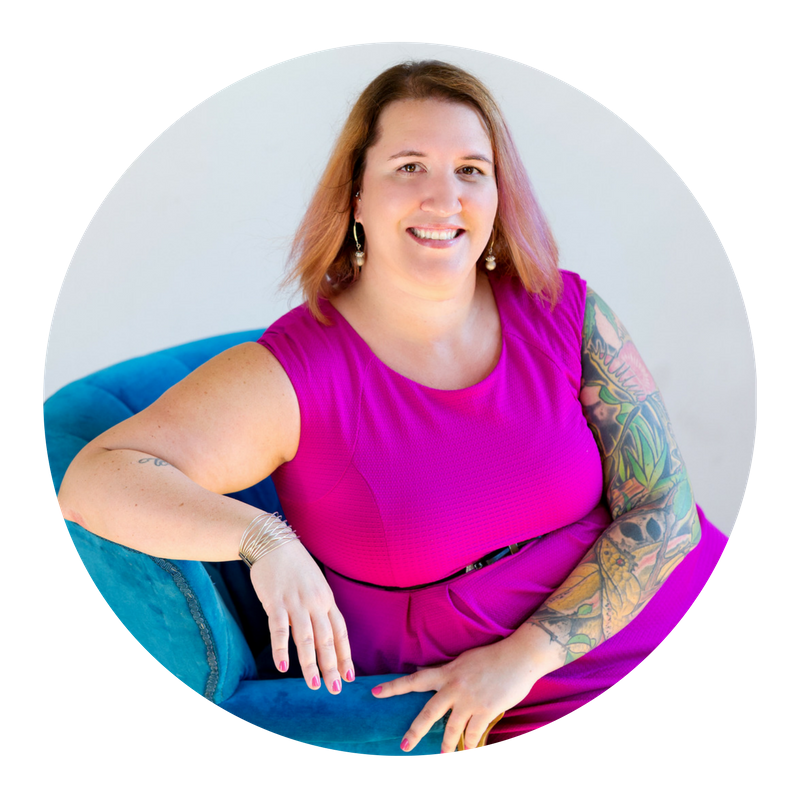 Your goal as a business owner and content producer is to take your reader from a passive engager to an active visitor by providing incentive for them to hand over their email address or pick up the phone to call. Once you’ve determine what awesome freebie, giveaway, enticing offer will accomplish this, ensuring your reader knows how to act on this is key – AND I MEAN KEY! Your CTAs (buttons, banners, etc) need to be in stark contrast to the rest of the content on your site. Now this doesn’t mean it needs to be tacky or overly large. It does however mean that it needs to pop, stand out on the page. Typically, this is achieved by your color choices. If you site is mostly blues, your buttons could be yellow or orange. If your webpages have white backgrounds, your buttons could have solid background colors. Once you’ve established how your call-to-actions are going to stand out, it’s imperative that you consistent with your approach. When a visitor browses your site you want them to recognize where you want them to take action. If you are using WordPress, this can be easily achieved by specifying button styles that get applied site wide, also super helpful if you rebrand your site. Simply update the theme’s defined styles and all instanced of the buttons get updated. You may be wondering, what is a ‘Start Here’ page? While a ‘Start Here’ page varies website to website, it is typically one of two things: a way to introduce yourself and your business or more of a catalog of previous posts or pages of interest. I am in the development stage of my ‘Start Here’ page and have chosen the second approach. I am mapping out my customer’s journey from business idea to generating profits and will highlight content that fits into the various entrepreneurial stages. So, why do you need a ‘Start Here’ page? The answer is pretty simple, visitors to your website/blog really have no idea where to start. They need to confidently feel that you understand where they are coming from and be presented with next steps on how to find content that resonates with them. Start by mapping out the high level questions/topics your visitors have, pick your top content that falls into those categories and put it all together in a nice, concise page on your website. Oh, and don’t forget to create a killer CTA on your homepage to direct people to that page. There is no doubt that using images on your website is a must. They make your site look aesthetically appealing, they can resonate with your visitors or enhance your written copy. Though with all the benefits to using images, you still need to be aware of the best practices. One such best-practice is the size of your images. One major factor Google takes into consideration when ranking your site is your user experience, in particular load times. If someone lands on your website and it takes too long to load they will bounce (hence the Google Analytics bounce rate stats). By keeping your website images small, your website will load quicker – can you say happy website visitor?!? Aim for images 70kb or less! When you publish new content, you increase your opportunities for your site to contain keywords. Keywords are an important aspect to search engine indexing and ranking. Frequently added content, such as blog posts, allows you to optimize your webpages with relevant keywords that can attract visitors to your site. A 404 error is the term given to the error a website visitor receives when they go to a URL that doesn’t exist on your website. This can happen either from user error (typing in the wrong URL) or because you moved or deleted web pages from your site. If it’s the latter, there are a few things you can do.